Enjoy the great outdoors and stay connected with the tough and stylish TLKR T50. 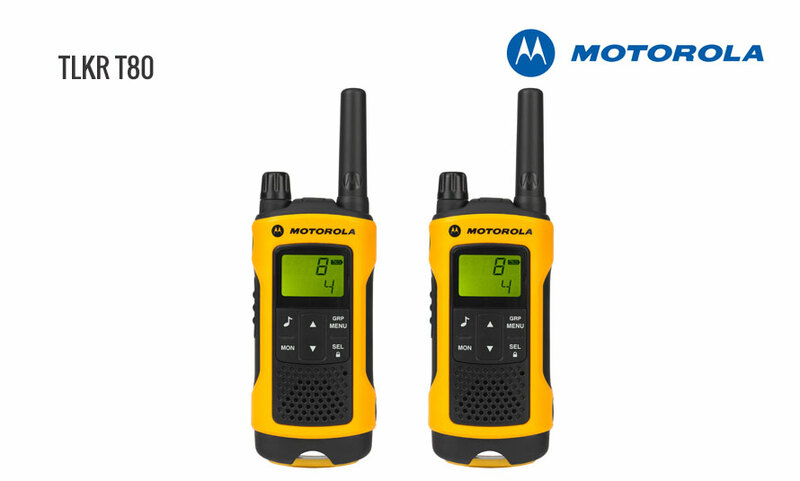 Whether it’s a day trip, a holiday hike or a weekend in the wilderness, with the rechargeable TLKR T50 at your side you can keep in touch up to a distance of 6km *. High specification, robust but easy to use, the TLKR T80 offers all the features you need for those extreme environments. 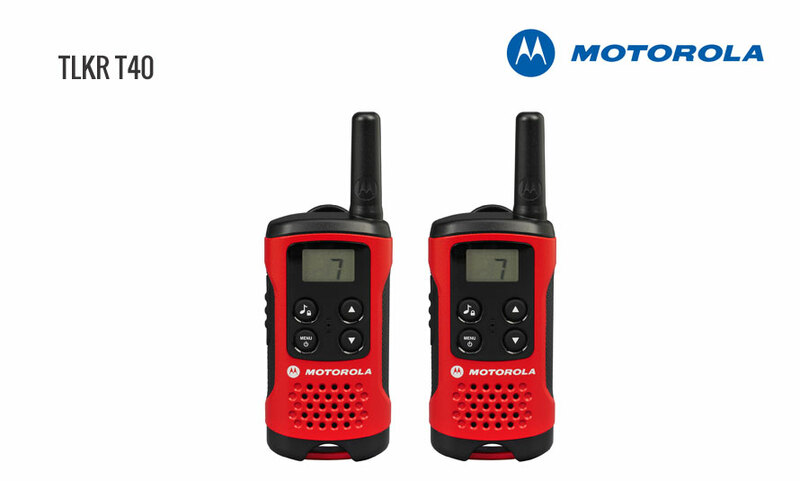 Bursting with functionality, including a range of up to 10km *, a handy built-in LED torch and a splash proof exterior, the TLKR T80 will keep you connected. 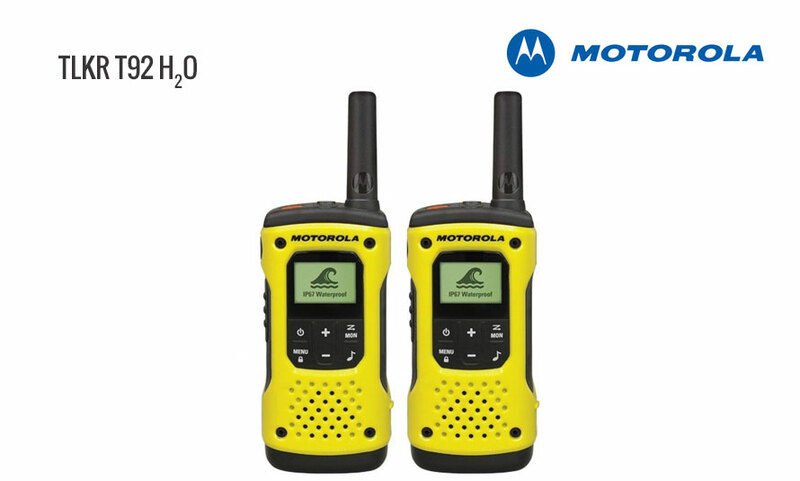 Floating waterproof design, rugged construction and up to 10km range *, the T92 H2O keeps you connected with family and friends. The integrated torch has bright white and red modes and will automatically activate on contact with water. Press the emergency alert button to activate a hands-free call and sound a loud warning tone on your radio to signal to others in your group that you need help. Supplied with rechargeable batteries, USB car charger, belt clips with built-in whistle and a hard carry case, the T92 H2O has everything you need to stay connected during your wildest adventures. 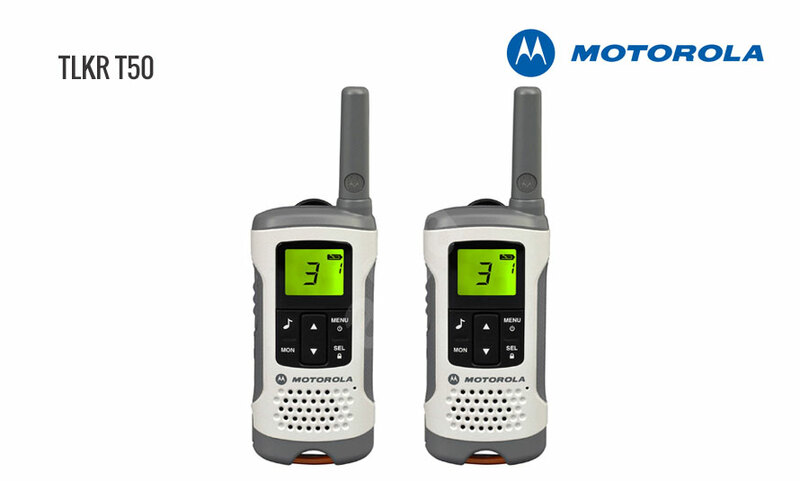 Motorola radios achieve the maximum possible range legally permitted by the PMR446 regulations. Subject to operating conditions, terrain and environment, communication range of up to *km could be achieved. The actual distance achieved is very often much less because of the above factors.